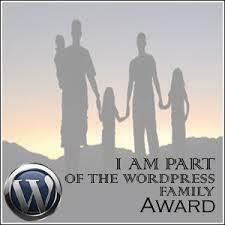 When a blogger receives an award it is always a matter of pride. It means your writing is read and recognised by someone who considers you to be a good writer. Delight and happy smiles take over. Your whole being is bathed in an aura of gratitude, humility, and an enormous amount of (much needed) encouragement. This is exactly what happened to me when I was presented with the One Lovely Blog Award by fellow blogger The Duck of Indeed. Thank you so much, Duck, I’m chuffed beyond words! I’m honoured and thrilled, this is a precious award. Now with the emotions and drama behind us (albeit, the histrionics a tad bit short of an Oscar acceptance speech), let me tell you something about The Duck. Duck’s writing is awesome. I consider this blog to be ‘E Double I’ — Entertaining, Interesting, and Informative. In Duck’s own words: “I am just an ordinary sentient duck that has a bunch of hobbies and little projects. I love video games, and I love drawing. I also like to write. To combine the drawing and the writing, I have decided to make comics.” You really must visit The Duck of Indeed. 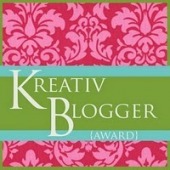 Nominate 15 other bloggers. But I shall name 11. Okay, now let me tell you some confidential, important, top secret, good stuff about little me! I don’t work. I’m Daddy’s princess. My blood group is Be Positive. I strongly believe that Beauty is not about having the fairest skin or prettiest face. It’s about having the purest Heart. I am of the view that there are people so poor, that the only thing they have is money. Experience has shown me that sometimes God lets you hit rock bottom so that you will discover that He is the rock at the bottom. I realise that every second is a chance to turn my life around. I choose to make the rest of my life, the BEST of my life! My children—my heart and soul—know me in a way no one ever has. They open me to things I never knew existed. They drive me to insanity and push me to my depths. They are the beat of my heart, the pulse of my veins, and the energy in my soul. They are my kids and I love them to bits! Congratulations! I wish each of you “Happy Blogging” and much Happy Reading to everyone! Maleeha…what an absolute honor and compliment…thank you so very much! Thanks much for nominating me back! Out of your 7 things about you, I like 4 and 5 the most. 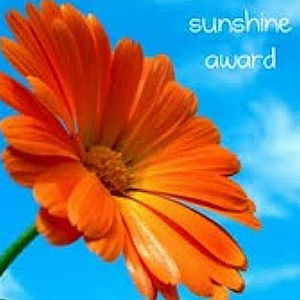 Maleeha, Thank you so much for this wonderful award. I am very grateful and flattered to be one of the selected few on the list of honorees. I hope the muse of creative writing always lies at your doorstep, and blesses you with new ideas of what to write whenever your feel the spirit. Truly beautiful ideas and opinions in the seven things about yourself. If only everyone thought that way! Thanks for the nomination! It was my pleasure, Cassie, I really enjoy your blog, and am sooo impressed by the way you whip up those colourful pie charts…kudos! Thanks, girlie! 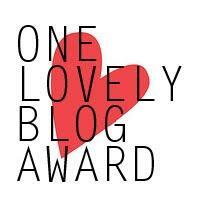 I’ll be posting my award blog this week, hopefully! Congrats on getting the award, Mal! Thanks a lot for passing it on to me. It means a lot to know that, you appreciate whatever effort I put in to my blog. After all little bit of appreciation, is what we all strive for. I might be wrong, but this is my take on this whole blogging stuff. Congratulations Maleeha! 🙂 I am so happy for you, and believe that you do indeed have One Lovely Blog! 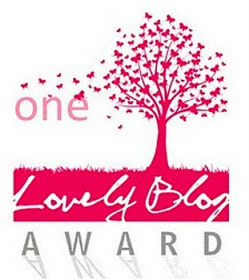 I enjoy your blog so very much, and feel so honored that you chose to pass this award over to me. Thank you. It was fun to read those facts about you, and see the way you view the world. I agree with you completely on the description of your feelings toward your children. You have a lovely outlook, that’s for sure! Thank you so much, Mal, and congrats. This means a lot. Sorry I’ve taken such an age to get here. Will respond soon, hopefully over the upcoming long weekend.